Mackinac Colors - J Scott Smith Visual Designs, Inc. When he approached us, our client had purchased a site on Market Street where he wanted to build The Mackinac House bed and breakfast. The project entailed a number of steps on our end that you can read about in this series of posts. Though the design was complete and the model was approved, plenty of decisions remained. 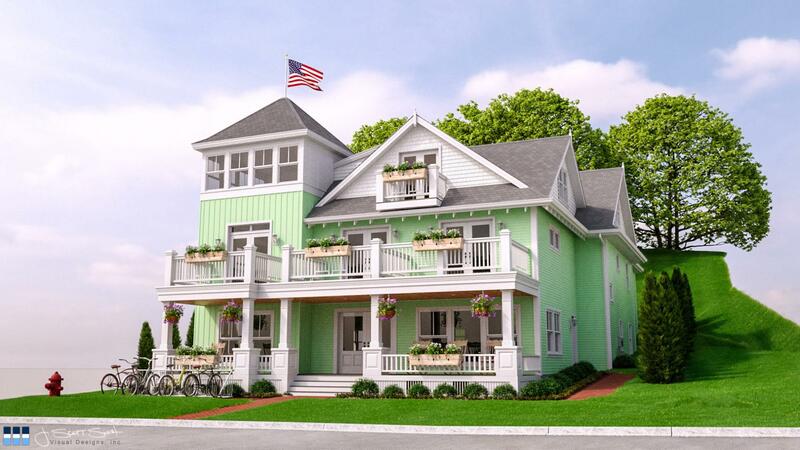 At the owner’s request, we created dozens of renderings with every conceivable combination of siding and trim colors, awnings, and doors. This gallery shows just a small representation of those combinations.